Managing chronic knee pain is not a simple task, but many people suffer from pain severe enough to restrict or limit daily activities. The knee and its system of nerves is complex, and many patients suffering from chronic pain are not necessarily candidates for surgical intervention. In some cases, surgery is not possible due to other limiting factors such as pre-existing conditions or the small chance of success when balanced with potential complications. In these cases, when more conservative treatments have failed, platelet rich plasma knee injections — or PRP knee injections — may be a great option to relieve pain and reduce inflammation. What are PRP knee injections? Platelet rich plasma therapy is a cutting-edge treatment option for many people who are suffering from chronic pain conditions. Dr. Tory McJunkin gives a brief overview of this treatment option in the following video. Many people pursue PRP therapy specifically for knee pain. We’ll discuss the common conditions that respond best to this therapy, after discussing the anatomy of the knee. There are two main nerves that send signals for two areas of the knee: the femoral nerve that runs down the upper part of the front of the thigh before curving inwards toward the inner thigh, and the sciatic nerve that originates in the low spine and sends pain signals from the back of the knee. From these two main nerves, a web of smaller nerves spreads out across specific regions of the knee. The most important of these are the tibial nerve and the common peroneal nerve in the back of the knee. These nerves travel all the way down to the foot and are responsible for muscle control and movement. The sciatic nerve controls both of these nerves. In addition to this complex fabric of nerves crossing the knee and all of the areas around it, the femur (thigh bone), tibia (shinbone), and fibula are held together by tendons that stretch on the inside and outside of the knee. Tendons connect the bones to muscle, and ligaments join the bones to each other to provide stability. Inside of the knee there are shock absorbers to cushion the action of the knee (the medial and lateral meniscus) and bursae, fluid-filled sacs that help the knee move smoothly. All of this complicated anatomy, and the enormous demands placed on this crucial joint, can lead to a difficult time diagnosing knee pain. Doctors should initially focus on the patient interview, gathering information and details regarding a person’s activity, diet, and medical history, including previous injury to the area. After that, a detailed examination is the next step. Observation of the knee for any visible swelling or deformity can give clues as to the source of the pain. Doctors will also perform manipulations of the joint, such as the vagus and varus stress test and Lachman’s test to check for ligament damage. In cases where a physical exam or patient interview indicates potential damage to the bone, an X-ray may be ordered. For knee pain that appears to originate in the soft tissues, an MRI might help. In many cases, PRP knee injections are most useful for knee pain that is the result of arthritis or sports injuries. Other common causes of knee pain are described below. Causes of knee pain include sports injuries, diseases, and mechanical problems. Let’s look at ten of the most common knee pain causes. You’re likely familiar with the wedge-shaped bone that covers your knee. This is called your patella, and it’s possible for it to slide out of place, leading to knee pain. This happens most commonly in relation to a knee sports injury. Chronic and persistent pain may be felt in the knee after putting the kneecap back into place. If, after more conservative methods have been used, patients who still suffer from pain may be good candidates for PRP knee injections. Gout describes a condition in which uric acid reaches high levels in your blood and begins to crystallize in the joints. While it most commonly affects a person’s big toe, it can affect other joints, tendons and tissues, including those in the knee. Your ilitibial band runs along the outside of your pelvic bone to the outside of your tibia. Certain activities — for example, running for long periods of time — can tighten this band and it begins to create friction against your femur, causing knee pain. Fluid-filled sacs known as bursae surround your knee joint to protect it as your tendons and ligaments move around it. When these bursae become inflamed the condition is called knee bursitis. Bursae are also located in other areas in the body, such as the shoulder and elbows. Sometimes with an injury a piece of bone, ligament, or other matter within the knee joint can break off and become caught in a place it shouldn’t be, somewhere in the knee’s joint space. The effects can be painful and debilitating. Tendons are responsible for connecting muscles to bones. The patellar tendon connects your quadriceps muscle to your shinbone and can be responsible for knee pain if it becomes inflamed due to injury or overuse. Patellar tendinitis is a condition that can potentially be treated with PRP knee injections. This is because PRP therapy is best used in cases where the body’s natural healing responses, when heightened by PRP, can reduce inflammation and pain due to the injury. There are four ligaments that connect your shinbone to your thighbone. One of the four is called the anterior cruciate ligament, otherwise known as your ACL. When this ligament suffers trauma it can tear, an injury commonly seen in sports in which a person must frequently and suddenly change direction, such as basketball or soccer. A torn ligament or ACL is best treated with surgery. However, for pulled tendons, PRP knee injections may help reduce inflammation and allow the body to heal naturally. Between your shinbone and your thighbone is a layer of cartilage called the meniscus. If you twist your knee suddenly or severely while it’s bearing weight, you could tear your meniscus. Osteoarthritis is a condition that describes the gradual breakdown of cartilage in the knee. It’s the most common type of arthritis and can become quite painful as more cartilage tissue is lost and the bones of the joint begin to come in direct contact with each other. This degenerative condition may be treated with PRP knee injections successfully. An autoimmune disease, rheumatoid arthritis is a chronic, inflammatory disorder that primarily affects your joints. When doctors complete their assessment of a patient with knee pain and have figured out the cause of the knee pain, they next decide on a course of treatment. Many doctors will choose a conservative plan of treatment when surgery is not an option. This can consist of things such as non-steroidal anti-inflammatory drugs (NSAIDs), physical therapy, or chiropractic care, platelet rich plasma therapy, and behavioral modifications, like biofeedback and relaxation or meditation techniques. The best doctors will try these options before moving towards more interventional treatment options, like surgery. Chronic knee pain is defined as any knee pain that lasts longer than three months, or far longer than an injury would indicate. If you’ve suffered from a sports injury or have another pain condition and conservative treatments haven’t worked, you may want to consider more interventional options, like platelet rich plasma knee injections. Intraarticular (directly into the joint) or extraarticular (into soft tissues) injection of steroids and/or hyaluronic acid, stem cells, or platelet-rich plasma (PRP). Intraarticular injections can be placed more accurately fluoroscopically, while ultrasound provides a better view of the soft tissues for extraarticular treatments. Nerve blocks of targeted nerves can be used if more consertative treatment options don’t work. These blocks can be followed by radiofrequency ablation (RFA) if the blocks are successful. Nerve blocks can offer short-term relief from pain, but radiofrequency ablation has been proven to relieve knee pain long-term with no adverse affects. Radiofrequency ablation can be performed on not only the major nerves serving the knee but also in the L2 and L3 regions of the lumbar spine. Also, doctors might try spinal cord stimulation (SCS) or peripheral nerve stimulation (PNS) to interfere with pain signals from the nerves to the brain. A stimulator is placed under the skin, and the patient controls how often electrical signals are sent to block pain signals. There is a risk of infection at the site of implantation or that the pain will move beyond the reach of the electrical pulse, but there have been promising studies that indicate that this may help chronic knee pain. This final stage sends patients back to an orthopedic surgeon to see if surgery might be indicated for their condition. If patients do not respond to interventional treatments, it is possible that something has changed that makes them a good candidate for surgery. Knees and their care are complex enough. Adding chronic knee pain into the mix and trying to decide on the best course of treatment when surgery is not indicated further complicates the situation. Patients want to look for a doctor who will spend time doing a thorough evaluation of their knee and then proceed with treatment that is holistic and targeted towards the best results. Whether the pain stems from wear-and-tear conditions like osteoarthritis or is the result of accident or injury, there are a variety of treatment options beyond rest and prescription medicine. And one of the most innovative and cutting-edge of these options is PRP knee injections. PRP knee injections help your body heal itself naturally, with little risk of side effects or complications. While research is still being prepared on this procedure, many anecdotal evidence (and the beginnings of more large-scale scientific evidence) is pointing to PRP therapy as a possible option for reducing knee pain. If you think you may be a good candidate for PRP knee injections, talk to your pain doctor today about this option. 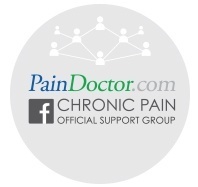 To find a pain doctor near you, click the button below. They can help you learn more about your condition and find treatment options that work best for you.